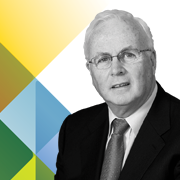 Frank Daly was appointed as a Public Interest Director of Anglo Irish Bank in December 2008. He resigned from this post on 22nd Decem	ber 2009 when appointed Chairman of NAMA. Mr Daly retired as Chairman of the Revenue Commissioners in March 2008 having been Chairman since 2002 and a Commissioner since 1996. He had joined Revenue in 1963. In March 2008, Mr Daly was appointed Chairman of the Commission on Taxation which was set up to review the structure and efficiency of the Irish taxation system; the Commission issued its Report in September 2009. 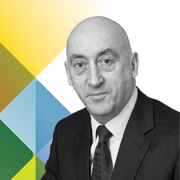 John Corrigan was appointed Chief Executive of the NTMA in December 2009. He joined the NTMA in 1991 shortly after its establishment and was initially responsible for managing the domestic component of Ireland's National Debt. 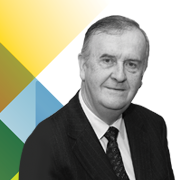 In 2001, Mr. Corrigan was involved in the establishment of the National Pensions Reserve Fund and was the Fund's Investment Director until his appointment as NTMA Chief Executive. Before joining the NTMA, Mr. Corrigan was Chief Investment Officer of AIB Investment Managers, having previously worked in the Department of Finance. 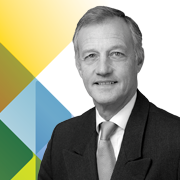 Oliver Ellingham is a chartered accountant and a former Head of Corporate Finance (Europe) at BNP Paribas and a senior executive within BNP Paribas UK. He currently holds non-executive directorships in a number of companies and is Chairman and owner of Woking Storage Solutions. He previously also held senior management roles within Charterhouse Bank (now part of the HSBC Group) and Robert Fleming (now J P Morgan) and served as a member of the Board of IBRC from October 2011 to February 2013. Board member (appointed 22 December 2009 for a 4-year term). 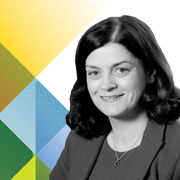 Éilish Finan is a Chartered Director and holds independent non-executive directorships in a number of Boards within the financial services and property sectors. In her earlier career, Ms. Finan was Chief Financial Officer and Director with AIG Global Investments specialising in investment management, fund management, trustee and custodial services and asset management. Prior to this, Ms. Finan worked with KPMG as a chartered accountant. She is a Board member of JP Morgan Bank Ireland. 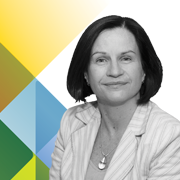 She is a Fellow of Chartered Accountants Ireland and an Electronic Engineer. Ms. Finan completed her term of appointment on the Board of NAMA and on a number of Board committees in December 2013. Mari Hurley was appointed to the NAMA Board by the Minister on 8 April 2014. Ms. Hurley is the Chief Financial Officer of Web Reservations International. She was previously Finance Director of Sherry FitzGerald Group and also worked at Bear Stearns Bank plc. She is a Fellow of the Institute of Chartered Accountants in Ireland having trained and qualified with Arthur Andersen. Ms. Hurley has a Bachelor of Commerce degree from University College Cork. She is a director of Bord Gáis Éireann. Brendan McDonagh was appointed Chief Executive Officer of NAMA by the Minister in December 2009. Prior to that, he was the Director of Finance, Technology & Risk at the NTMA from 2002 until 2009 and held the post of NTMA Financial Controller from 1998 to 2002. Mr. McDonagh joined the NTMA in 1994 from the ESB, Ireland's largest power utility, where he worked in a number of areas including accounting, internal audit and treasury. 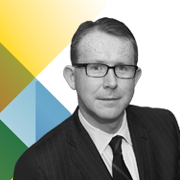 Brian McEnery (FCCA) specialises in corporate rescue and insolvency and is a partner in a leading firm of accountants and business advisors and practices in Limerick and Dublin. He is a Fellow of the Association of Chartered Certified Accountants ('ACCA') and a council member of ACCA. In 2010 he was the President of ACCA Ireland. 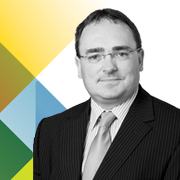 He is a director of the Consultative Committee of Accounting Bodies and serves on its insolvency committee in Ireland. Former Head of Asset Management, NAMA. Appointed to the Board on 7 March 2012 for a 5-year term. Resigned from NAMA and from the Board with effect from 17 January 2014. 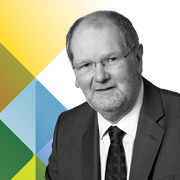 John Mulcahy is a chartered surveyor and has worked in all aspects of the property industry for over 40 years, most recently concentrating on property investment and asset management. Mr. Steven A. Seelig is a Principal and CEO of Financial Stability Associates, a consulting firm specialising in the spectrum of financial stability issues. Prior to establishing Financial Stability Associates, Mr. Seelig served as Advisor in the Monetary and Capital Markets Department of the International Monetary Fund ('IMF') where he had primary responsibility for the financial sector restructuring and resolution activities of the department. Mr. Seelig spent the bulk of his professional career at the Federal Deposit Insurance Corporation ('FDIC'), holding a broad range of positions, including Chief Financial Officer and Director of Divisional Liquidation. Mr. Seelig also worked as an Economist at the Federal Reserve Bank of New York and as an Associate Professor of Economics at Fordham University. Mr. Seelig completed his term of appointment on the Board of NAMA and on a number of Board committees in May 2013. Willie Soffe has over 45 years' service in Local Government in the Dublin area, during which time he has held the positions of Assistant City Manager, Dublin Corporation (now Dublin City Council) and County Manager, Fingal County Council. Since retiring in 2004, Mr. Soffe has carried out a number of public service assignments including Chairman of the Dublin Transport Office, a member of the Commission on Taxation and a member of the Steering Group on the Review of Area-Based Tax Incentive Renewal Schemes.